Okay, boys and girls, I know you love to read mental_floss because we feed knowledge junkies. But when you just want a laugh, or a smile, or a good pun, there's a world of blogs waiting for you. Some of them only cover one narrow subject, but they manage to find plenty of material on that one subject to please their readers. Here's a bunch you may want to check out. Snack to the Future is what you get when you redesign movie posters to make them all about food. Of course, it's more than just the combination: it's all about the pun. 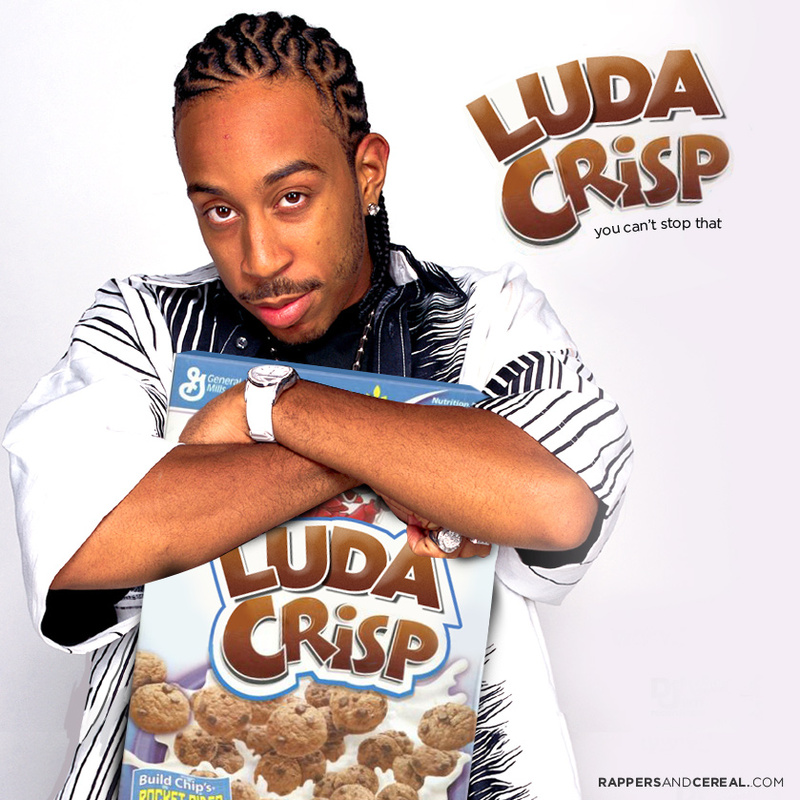 Rappers and Cereal is another Tumblr blog dedicated to a pun. The idea is to redesign an existing cereal to please a rapper who would then endorse it. New entries come slowly, but they always make you laugh. Some entries contain NSFW text. Just what it says on the tin! Exploding Actresses is a blog of movie clips, in both video and gif form, that end with explosions. Only the very squeamish will consider it gory; they are more likely to make you laugh. This past May, a Cheerios TV ad featured a family with a black father and a white mother and their cute biracial daughter. The angry reactions to the ad were surprising. 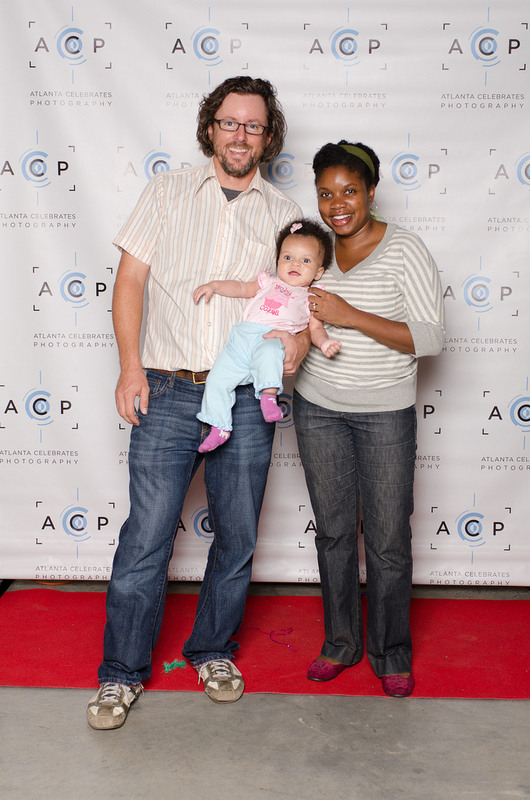 Photographer Michael David Murphy and his wife Alyson West (shown here) responded to the backlash by launching the blog We Are the 15%, featuring submitted pictures of multiracial couples and families. The blog has proven to be quite popular, as it now has 31 pages of families that come in all sizes, configurations, and colors. I'm not sure what inspired the Tumblr blog Beer Labels in Motion, but I suspect there may have been alcohol involved. Trevor Carmick presents the animated gifs along with a short review of each beer. See, it takes both an interesting label and a distinctive taste. Next time you find yourself staring at a beer label to avoid eye contact with your date, you may be inspired to see movement then and there. Three years ago, Michael Powell and Jürgen Horn embarked on the experiment to live in different places of the world for 91 days and write about them. The two recently left Istanbul, Turkey, where they not only chronicled their own adventures, but built a side project around the many cats in Istanbul. This picture blog is called Daily Cat Istanbul. CATS CATS CATS - Cats are everywhere in Istanbul and I can't resist taking their picture. Here you will find fresh cat content once a day - maybe even more often! 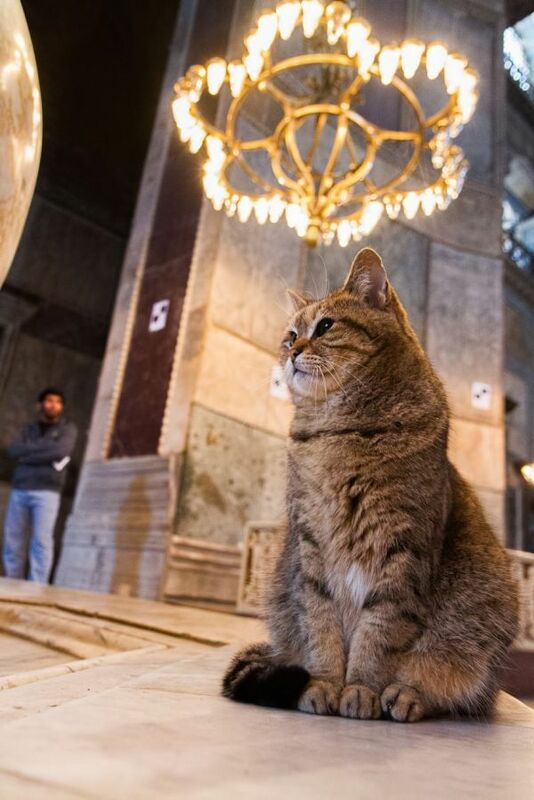 The cat pictured here was photographed in the Hagia Sophia. Enjoy pages and pages of cat pictures and video. And where are Michael and Jürgen now? They are settling in at their new home in Iceland. Bad Romances is not so much about bad romance novels, but their covers. These novels are published with many new titles every month put together in a hurry, and the cover art of some show how hectic the process can be …unless the person in charge of art just wants to make it easy on him/herself by taking certain shortcuts. Of course, the titles and tag lines are fair game here as well. Look for the "Objectified Scotsman" trope to be highlighted because it is so common. The "highlighted Highlander," as the case may be. Jony Ive is the head of design for Apple. 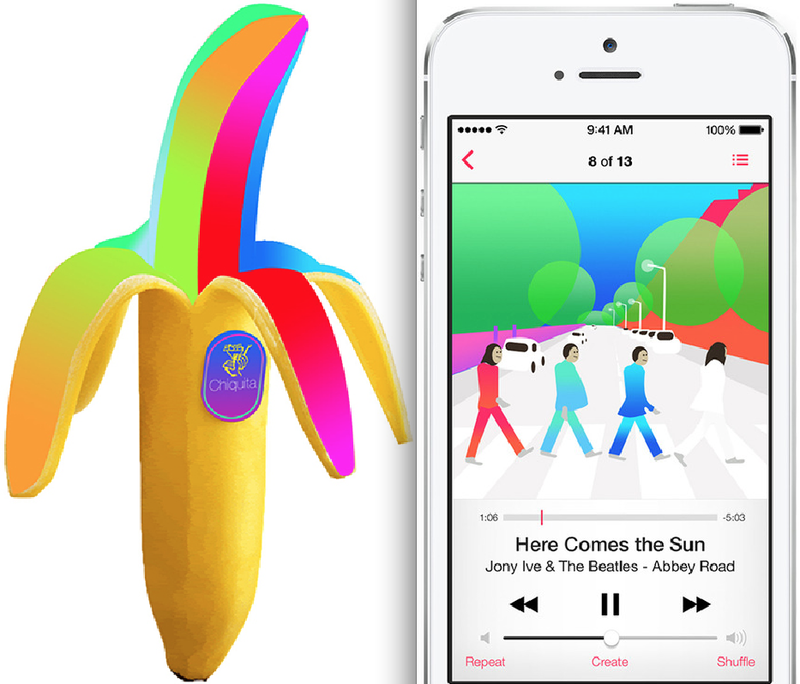 His most recent tweaks of Apple products, particularly iOS 7, lean heavily on bright colors, minimalism, and gradients. Designer Sasha Agapov illustrates that in a satirical Tumblr blog called Jony Ive Redesigns Things. Artists of all kinds submit other products imagined as they were to be redesigned by Ive. 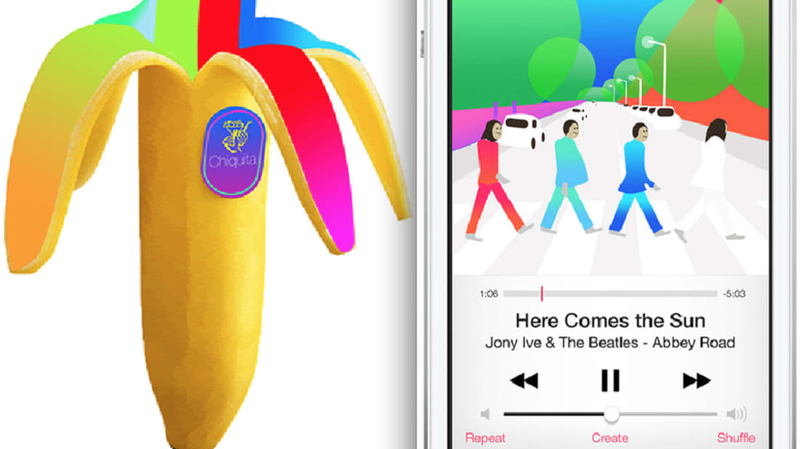 The banana here was designed by Alison Shiman; the Abbey Road cover redesign is by Will Viles. Find more in our previous posts on Niche Blogs.